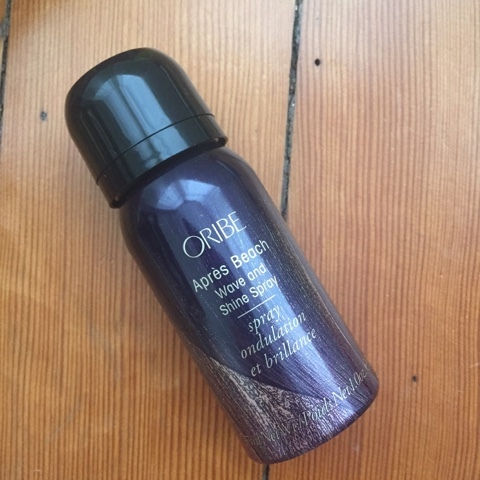 Oribe Après Beach Wave and Shine Spray – Most of us have heard about Oribe. They’re like the king of summer haircare products. I actually haven’t tried any of their products before, but I can’t wait to try out this beach wave and shine spray. I love that this is a two in one spray, for both beach waves and shine! Dr. Brandt Microdermabrasion Skin Exfoliant – Ooh I’m curious about this citrus scented exfoliant! I love, love, love exfoliants. I use a light scrub every day and I’m always on the hunt for a holy grail one so I can’t wait to try this one. 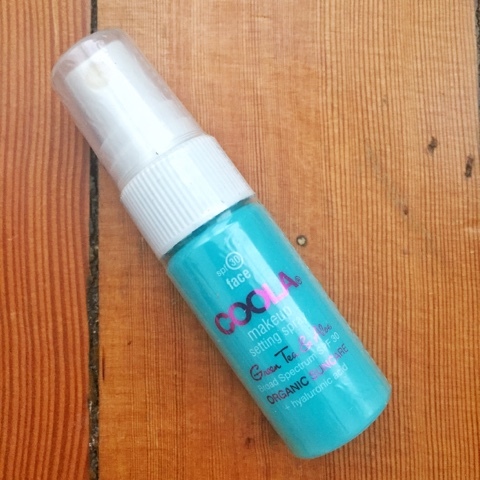 COOLA SPF 30 Organic Makeup Setting Spray – I have been dying to try out this COOLA setting spray. A combination spray that is great for both a makeup and spf touchup on the go. I’m definitely taking this little beauty on my next weekend getaway. 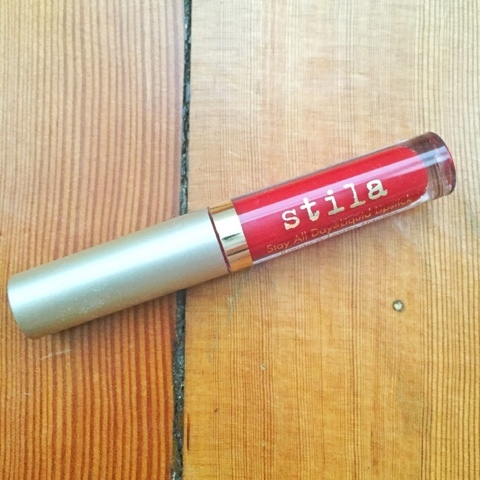 Stila Look at Me Liquid Lipstick – I have been looking for a super long-lasting lipstick that could handle all day wear and this may be the one. The kit comes with three shades, but I opted for Beso, a classic red. 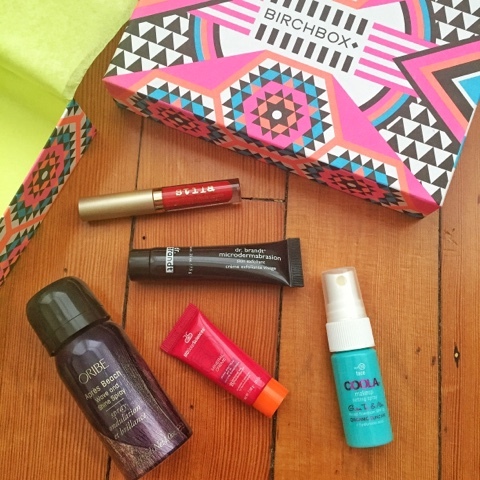 What product were you most excited about in this month’s birchbox? I got the "Beachy and Bright" LE July box and I am loving my Oribe Spray and with a little adjustment (I have dry lips) I love my Bella Stila liquid lipstick!